Folding bikes are fantastic inventions that let cyclists ride to work or school and then stash their bikes in a secure indoor area. They’re small enough that they can go almost anywhere, but robust enough that they can still perform like regular bikes. 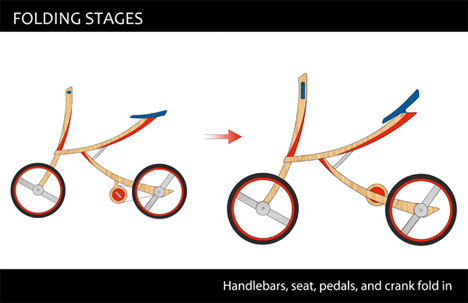 Some designers are taking this idea and running with it, coming up with folding bikes that are remarkably lovely and memorable. The Odachi Folding Bike from designer Nick Domanski seems to be much more about the style than the function, but it’s got so much style that maybe the function can be allowed to take a backseat, as it were, since there are no plans to actually produce the bike currently in place. The Odachi bike is styled after an elegant samurai sword. 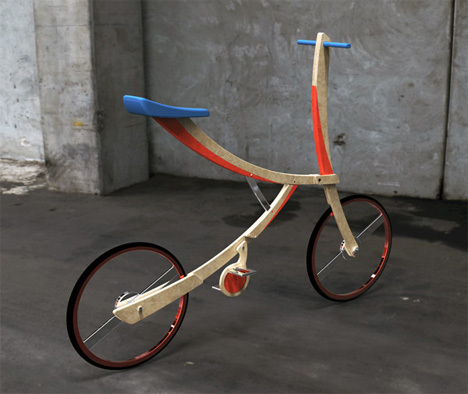 When expanded to riding position it features a very simplistic bamboo fiberboard shape that is almost reminiscent of a child’s toy. 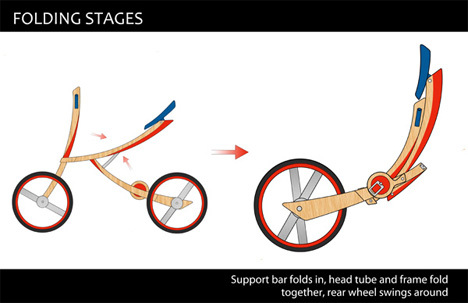 The lightweight bike can be folded when it is not in use and slung across the back in the fashion of a warrior’s sword. 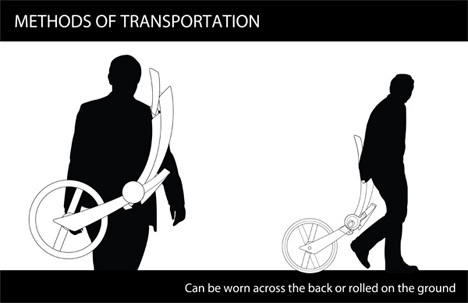 For those who would rather not wear their bike (or who don’t find it quite lightweight enough to lug around) it can also be easily rolled along behind as the owner walks. 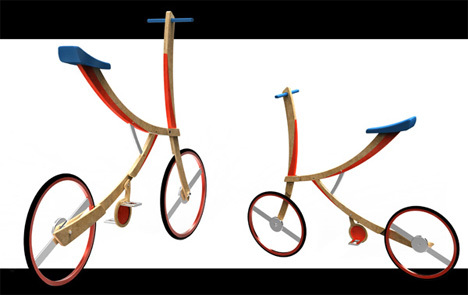 Of course, the design does look a bit impractical for actually riding. But perhaps if the bike ever goes into production the mechanics can be worked out. Until then, it’s a visually stunning interpretation of a leg-powered vehicle that can go virtually anywhere along with its owner. See more in Bikes & Cycles or under Transportation. December, 2011.